Any yard can be a Florida Yard. 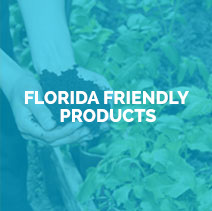 It’s just a matter of following a few key guidelines, such as using turfgrass only where you need it for pets or play areas; matching the right plants to the right places; using water wisely; and reducing or eliminating fertilizers and pesticides. After that, it’s a matter of your own personal tastes. Some people like a manicured, structured landscape. Others like a more informal look. 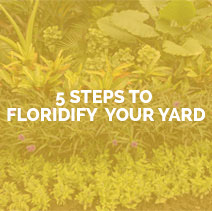 Design your yard to work WITH Florida’s climate and growing conditions, not in spite of it. Be inspired, and Be Floridian!